I am in the midst of completing individual conferences with my students about their learning this term (and their grades). The end of the term is coming. It is a natural break in units and the focus on prescribed learning outcomes. Sure, I could start a new unit with my 4 classes and work on that new unit for 3 weeks before Winter break, but instead, I we are going to do something even BETTER! 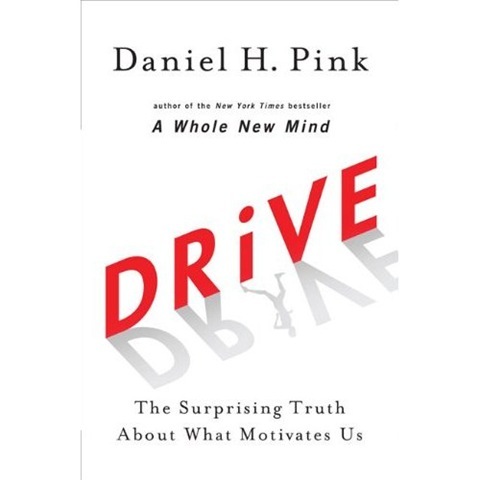 There has been a great deal of talk about Daniel Pink’s book, Drive, recently and about what motivates people. Take a look at this video that was shared with me by@arlenegeres. It some of the main points of Pink’s book Drive. Many educators are having their students complete projects in their classes – calling their time “Genius Hour” – where students are able to work on a project of their choice for an hour. Here are some posts describing the “genius hour” journey of a wonderful educator (@mrsdkrebs). Her work, and the work of her students, has inspired me to initiate our own genius hour. Next week, we are going to have our own Genius Hour (#geniushour on Twitter), only I’m calling it “100 Minutes of Genius“. The students will have both of our classes (100 minutes) to complete a project of their choice – individually, or with a partner (or group of three). They will have the week to work on their project (I only teach them for 100 minutes a week). I told them that they could start on it this weekend, if they wanted (even though I do not give them any homework – this is different). Then, they will have our 100 minutes of class time to work on it next week. The only stipulation is that they will be asked to present their project to our class the following week. To say that the kids were excited would be an understatement. At first, they looked at me in disbelief. I had many questions about various topics and if they could do certain things. I kept telling them that they could do whatever they wanted (except, I did say that I didn’t want them to do anything related to violence). They were giddy with excitement! The buzz in the room was amazing. Since I was continuing with my end of term, individual student conferences, I let the students choose to talk about our 100 Minutes of Genius, or go to some learning games I had posted on our Wiki about our current unit of study. You’d think many students would want to play games on the computer. Nope! Most of the students wanted to talk about what they were going to do for our 100 Minutes of Genius and decide with whom they were going to work. Some of them even got started making their own page on our class wiki about their topic of choice. It was all going so well. It was so exciting and motivating. Incredible. All I can do is keep the smile on my face with the realization that this is not an easy process. It will likely be at least a year-long process. I can’t wait for our 100 Minutes of Genius next week! No, it will not be graded! No, extra marks will be given for doing “more” work. This entry was posted in Collaboration, Connections / Relationships, Personalized Learning, Reflection and tagged Daniel Pink, Drive, Genius Hour, independent, personalized learning, Pink, project, project based learning. Bookmark the permalink. By the way, you might want to change the Twitter address to #geniushour, since there isn’t really an account for it. Thanks again for sharing with me, and using my students as examples for your students. They will, like I do, think that is awesome. Thanks, Denise for stopping by and commenting! We actually went to your blog today in my classes and I showed them the pictures you have up of your student’s Genius Hour projects! Those projects were great because it really demonstrated that every project could be very, very different. I can’t wait to explore it more with my students next week. They are so excited (and so am I). A former colleague and I did a similar project several years ago while Grade 7. We called it “Idea City”, and students had about a month to work on their projects. Because it was a longer-term assignment, we focused on goal-setting throughout (a Health and Career Ed. prescribed learning outcome for Grade 7). Students did projects on everything from photography to archaeology, cheerleading to animation, and presented in a variety of ways. At the end we had a big fair and invited other classes from the school to visit. It definitely created the “buzz” you are talking about, and really gave the students a chance to explore their own interests. I’m not sure why I haven’t tried this with Grade 4s; I think reading your post has just inspired me to try! You should totally try it with your Grade 4’s. I think they would do well with it! I remember a teacher at one of my first schools used to have a project (can’t remember the name of it) where the students taught the class something they knew a lot about. Same kind of thing. The Buzz is so exciting and inspiring. The kids kept coming up to me today, asking if they could do a project on ___ or ___. The amazed looks I kept getting was motivating for me. One of my students said, “I don’t know what I should do for my 100 minutes of genius. What should I do, Mrs. Henriksen?” My response … “How many times do you get the opportunity to learn about whatever you want?” All the kids around said, emphatically, “NEVER!! !” That student then realized that maybe he should find something he wanted to learn about or teach others about. I thought it was a bit sad though that the kids were so emphatic in their “NEVER” response. It’s only 100 minutes, but it is a start. I like how you worked your in with your H&CE. There is goal setting very year in H&CE. Hmmmmmmm… I wonder what other kind of project I can have them do (if this goes well, of course). I have been following Denise’s #geniushour and she sent me the link to your blog. It’s exciting to put the learning and presenting in the hands of our students. Giving them a choice makes learning more fun and purposeful. (Loved the video by the way – makes so much sense.). Not sure how I will do it – but I would like to give my students a genius hour! We started blogging today and several of the students said “I can’t wait to go home to finish my post!”. They got to choose what they wrote about and the medium was different for them. It’s great to see their excitement over something so small – Imagine what it will be like if they get to choose their own project. It is so exciting! The kids are having a great time learning and exploring and, a real bonus, being engaged and not misbehaving. They are already asking when we’re going to have our next 100 minutes of genius. I am definitely going to try to do a survey like Denise did. That is so powerful! I think we will do this at least once a term. Good luck with yours! They will love it! They are already sound so excited about their blogs. How fun! Hooray for 100 Minutes of Genius and #GeniusHour! It’s so fun to read about all that is happening at your schools, Tia and Nancy! I was just sitting here working on future plans and realized I have a 3-hour block with seventh graders later this month due to semester tests in the high school. We’ll have to be quieter than last time, but I sense our second genius hour is coming!